California-based Tesla tuner Unplugged Performance has snappy-looking upgrade kits for models X and 3. 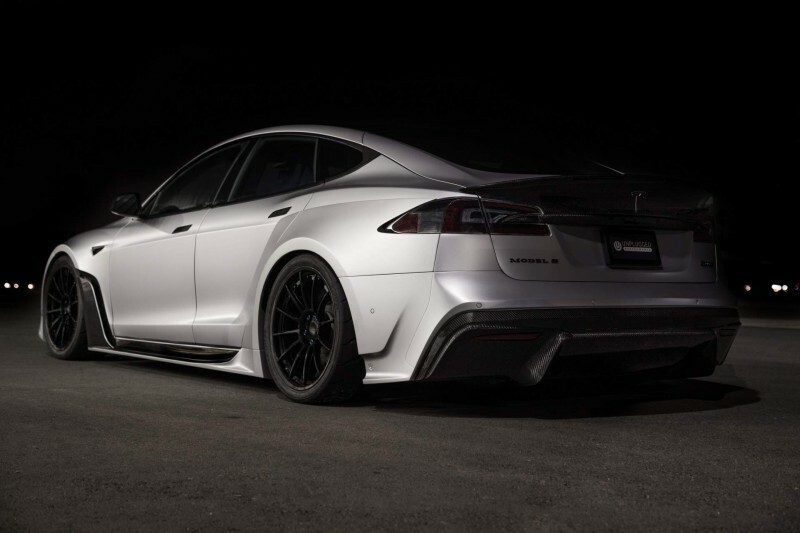 And they just unveiled a new wide-body kit for the Model S: the S-APEX P100D. The company debuted the kit at this year’s SEMA Show in Las Vegas. Unplugged’s design approach for the 3 and X involved sporty cosmetic enhancements and improved aero; a car that receives their treatment looks good, and less commonplace. The Model S is a bit more ambitious, however. The S-APEX P100D kit gives the Model S a pretty serious facelift. 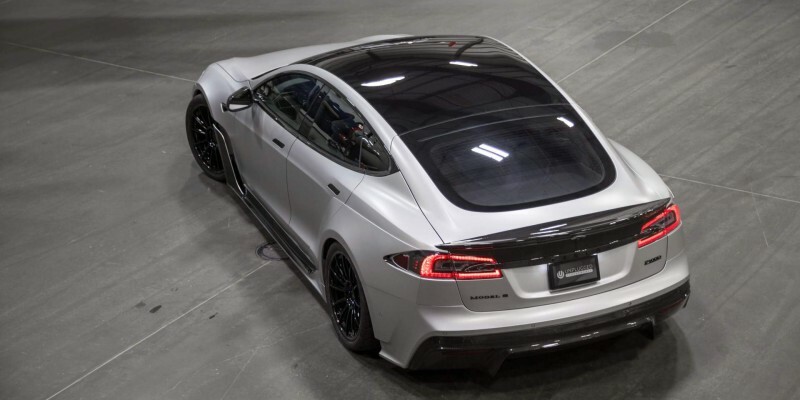 The flagship production Tesla comes away with a bolder, more aggressive style, amidst a flurry of upgrades. The kit is $50K, but customers can bespoke order while Unplugged is at work plugging in the kit’s 19 carbon-fiber body conversion pieces. And the kit isn’t only skin deep; performance upgrades include carbon ceramic brakes, custom Unplugged shocks, and lighter wheels. 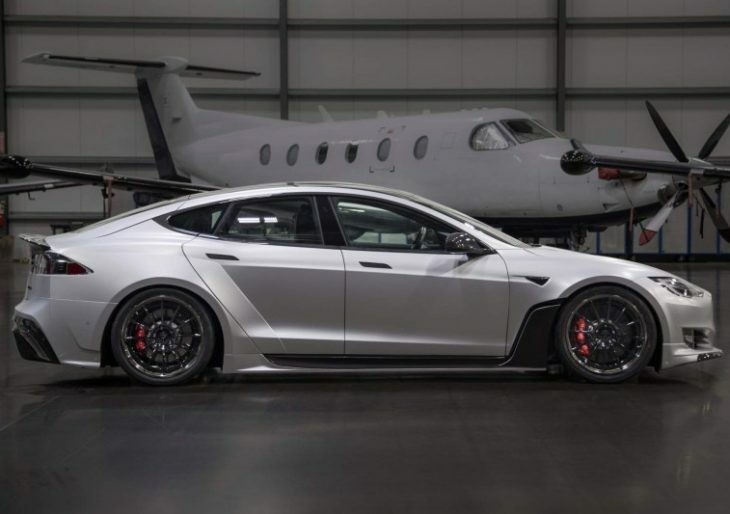 The conversion kit adds 1.57 inches to the vehicle’s width, so an APEX Model S can also accommodate wider tires; good news for the heavy-footed out there. The wider shoes are paired with 19-, 20-, or 21-inch wheels. On the inside, drivers will enjoy custom styling and plenty of Alcantara throughout.